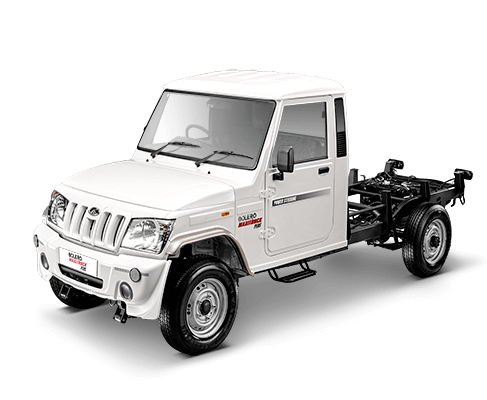 Presenting the Extra Strong new Bolero Maxitruck Plus with the advanced m2DICR engine. Equipped with unique features that ensure non-stop performance, without showing the slightest sign of tiredness. 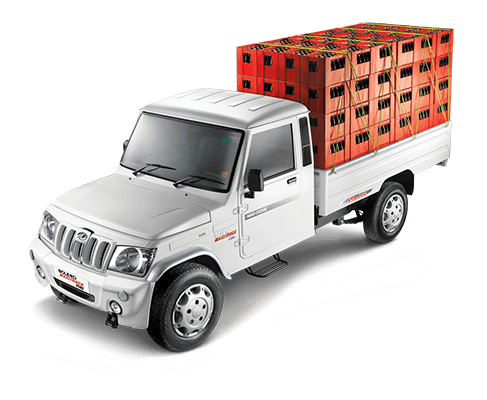 A large cargo deck and an extra strong suspension help you carry bigger loads, per trip. The power steering takes away the effort of turning the vehicle in city lanes. The low turning radius gets you in and out of the narrowest lanes with ease. This pick-up makes a style statement as well, with its eye-catching wrap around headlamps, trendy dual-tone instrument panel and attractive fabric seats with matching door trims. Now see your business grow like never before with the all new Extra Strong Bolero Maxitruck Plus m2DICR. The Bolero Maxitruck now comes in a sturdy new CBC variant that gives you more flexibility. Depending on the kind of loads, you have the option to construct load bodies. No matter what the business this variant, allows you to customise the load.